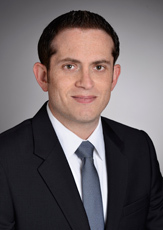 Ilan Wisnia is a partner with Valle Makoff, where he specializes in sports, entertainment, and business litigation. This includes the representation of professional athletes, sports and talent agencies, film studios, and production companies. He has extensive experience in litigating claims before both state and federal courts, as well as the California Labor Board, FINRA, AAA, and JAMS. In addition, Mr. Wisnia has a strong commitment to public service, and has worked on a variety of pro bono matters. This includes working with Public Counsel to represent a homeowner who had been fraudulently induced into entering into a predatory home loan, as well as working with Bet Tzedek to defend a mother and her children from being wrongfully evicted. Following a two week bench trial where the plaintiff sought over $2 million dollars in damages relating to his former partnership with the defendant, Ilan helped to obtain a $270,000 verdict for his defendant client. Successfully defended two media executives accused of fraud in connection of the sale of their former company, obtaining $4 million in unpaid severance for them, as well as the complete dismissal of the claims against them. Successfully defended a professional basketball player accused by a marketing company of breaching a joint venture agreement. Successfully defended a professional basketball player accused by a sports television network and television producer of breaching an agreement to participate in an online reality series. Successfully defended a professional basketball player accused of being part of a ponzi scheme. Represented a sports agency in bringing suit to recover unpaid fees owed by a former client. Obtained a $1.2 million ex partewrit of attachment within days of filing a complaint, resulting in a settlement where the defendant quit claimed his house to the plaintiff. Prior to joining the firm, Mr. Wisnia worked at Lions Gate Entertainment, where he focused on international film distribution. Mr. Wisnia earned his law degree in 2006 from Tulane University Law School in New Orleans, Louisiana. He received a Bachelor of Arts degree with a major in International Relations from Tufts University in 2001. Mr. Wisnia is a member of the State Bar of California and is admitted to practice before the United States District Court for the Central District of California.